June 6 – the Swedish National Day! When you live abroad those kind of days become even more important then they were when living in your mother country. 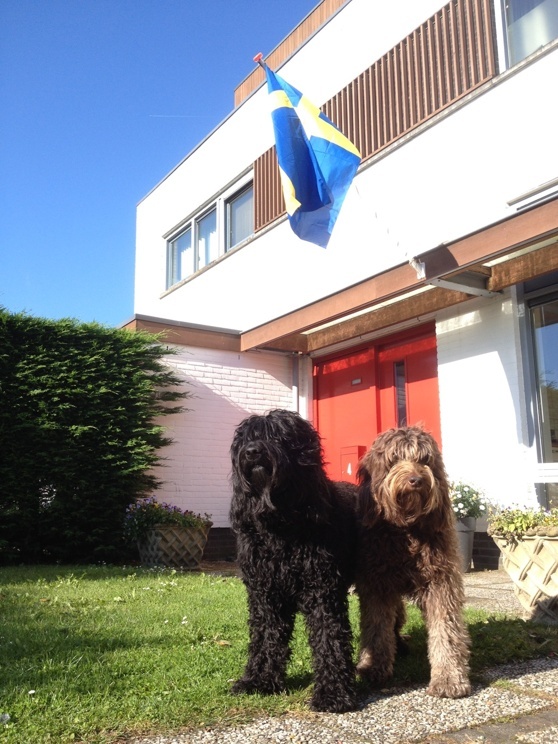 So the flag is swaying on the front of our house and of course Yatzie and Moët had to pose in front of it! Honestly - they just stood in this amazingly respectful and proud pose all by themselves! In a second the photo was made. Today I am planning to make a typical Swedish summer dessert - rhubarb pie – to celebrate!